Does Donald Trump Need The No. 1 Best Bail Bonds In Hartford? Do You Get Money Back After Posting Bail? What Happens if the Defendant Doesn’t Appear in Court? All fees are set by law and are regulated by Connecticut’s Insurance Department. The State of Connecticut mandates the fees for a bail bond to be 10% of the first $5,000 and 7% of anything in excess. This means a $5,000 bond would be $500 while a $5,100 bond would be $507. An easy equation would be any bond over $5,000 is 7% plus $150. We take 35% of that down for payment plans. As the fees are set by the State of Connecticut and are mandated, no bail bondsman can charge more or less than what is prescribed by law. 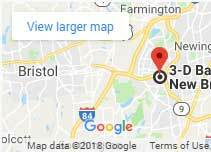 As Connecticut’s most recommended bail company, we are here day and night to work with you and your budget. While some may offer to charge you less than the state-mandated fee, please be aware of the legal consequences this could cause to you and your loved one. The DOI has a link to verify licenses here. 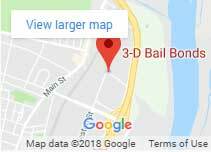 Here at 3-D Bail Bonds, Inc. would like to remind you that our goal is to help you get your loved one out of jail. Team 3-D will do whatever we legally can to make this happen. We will not take less than the amount prescribed by law. Anyone who offers to take less is in violation of chapter 701 of the Connecticut General Statutes. Don’t be fooled by someone offering some kind of bargain basement prices. There are those who will prey upon the weakness of others and take advantage of the emergent situation. We will not take advantage of you, that’s not who we are. 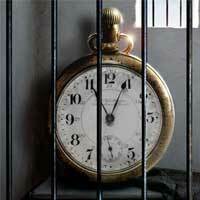 Allow the professionals at 3-D Bail Bonds, Inc. to be your key to the freedom of your loved ones. We will not disappoint you in your time of need. We are here to help. Contact us 24/7 statewide at 800-570-5544, or call local at 860-247-2245. © 2018 3-D Bail Bonds, Inc. Serving CT Bail Bond Needs Since 1997 | All rights reserved.